Jerry and Barbara Cornelius, who own and operate Canyon Creek Art, an art and custom frame shop, partnered with the "Make-A-Wish North Texas" foundation. Wish kids and their siblings gathered at monthly wish art parties to create one-of-a-kind masterpieces for upcoming silent auction items and unique gifts. This opportunity introduced Jerry and Barbara to the idea of helping organizations raise funds while promoting children's art. They decided to take this model to the school setting, help support local arts in education and give back to our community. Their creation is called Busy Fingers Art Festival. Busy Fingers Art Festival engages and inspires all young artists. Canyon Creek Art & Frame partners with schools, educators, parent-teacher organizations, youth ministers, families and young artists to design art festivals that promote and showcase youth art. After supplying the school with special art paper, the students get busy creating their art and then Jerry and his team pick up the art and frame hundreds of art pieces for the big event – the Busy Fingers Art Festival. At the art festival, parents and students are able to view all of the art and purchase, if they’d like, their own framed art to take home. Art not purchased is returned to the student (less the frame). For many young students this art festival featuring their work is the first public display of their artistic creations in a fun, professional, gallery-style format that stimulates imagination, strengthens creative visualization and builds their self-esteem. “We love seeing students’ proud, smiling faces when they see their framed art on display,” said Barbara. And yet, with all the success of Busy Fingers Art Festivals, Jerry is continuing to pursue additional ways it can benefit the community. "The concept is still evolving, we’re trying to find new ways to include the community in every aspect,” said Jerry. “For instance, we’ve recently teamed up with My Possibilities, a leader in the local community that provides services for adults with different abilities, in assisting us by placing each student’s artwork into the frame. Now our involvement is benefiting the school, the children AND adults with different abilities." Canyon Creek Art has been a part of the Richardson community since 1995. They offer 35+ years of combined framing and business experience. The Corneliuses have made Richardson their home since 1973 and have enjoyed being involved in many areas of our community, including active membership the Richardson Chamber. Not all questions were answered in the session. Click to see the answers submitted by PISD and RISD. Pictured are the panelists and the Education Committee tri-chairs. As a business owner in our great community, it is imperative that I consistently look toward the future to determine human resources needs versus supply. This is my number one concern in order to remain a viable and successful business in our community. While our local Richardson ISD, Plano ISD, Richland College, Collin College and UT Dallas do an amazing job of providing outstanding graduates to enter the workforce, they need our help. Recently our State Legislature passed a new law revising Career and Technical Education for students, which provides students with a greater awareness of career path options. The goal is to provide the highest level of relevant workforce training to students before graduation. The outcome will not only cultivate a skilled workforce, it will also connect students to local businesses during secondary schooling, increasing the likelihood they will return to our area after technical school or college graduation. The idea provides a win-win opportunity for students and businesses alike. While the various schools are ready, they need us as businesses to step up and help by providing various "real job" experiences and training in our businesses. As a business who currently works with our local schools to provide this education, as well as financial help, I can assure you it is the best investment we make in assuring a strong, steady stream of workers prepared to enter our demanding workforce, ready to accept the challenges of employment today. Every year we hire numerous new nurses and technicians who have previously trained at our facility through partnerships with our local schools. This "pre-training" allows new employees to truly "hit the ground running," thus minimizing orientation time and reducing our overall expense to new hires. I would ask each of you, as business professionals, to open your businesses and work collaboratively with our schools to provide these needed opportunities. If interested please contact Kim Quirk at the Chamber to get started. It will be your best investment and pay dividends for years to come! 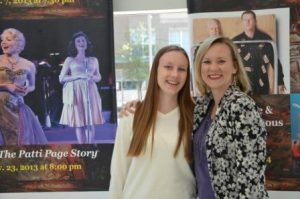 J.J. Pearce High School senior, Emily Waddell, was selected for Richardson ISD’s Professional Internship Program (PIP) this spring and is finishing her internship at the Eisemann Center for Performing Arts. She says the experience has truly been valuable and will help her as she transitions into college and her future career. Emily has a great example to follow through her internship supervisor, Amy Taylor, Assistant Marketing and Development Manager for the Eisemann. Amy graduated from Richardson High School and also participated in PIP, interning at a local radio station. Emily has a love for music and the arts and says the Eisemann Center was the perfect fit for her. With Amy’s guidance and leadership, Emily was able to gain real-world experience by helping with projects and performances and assisting Amy with day to day operations and planning. “I wanted to see what it was like to have a real job because I have never had one before. The work and what I’ve learned reinforced what I want to do and now I also have some contacts in the music business,” says Emily. Emily plans to attend Belmount University in Nashville in the fall and major in music business and says her time at the Eisemann confirms that she is headed in the right direction. Amy says she has really enjoyed having Emily be a part of her team and offering her guidance since she’s been in the same shoes before. She asked Emily for her ideas and suggestions and was open to feedback. She didn’t just show Emily the fun parts of the job either. Emily also understood that the job often requires long or odd hours, providing customer service to a wide- variety of people from celebrities to community members to children and even doing things such as taping paw prints all across the Eisemann Center floor. “One of the best things about an internship is that it lets the student test a career to see if it’s right for them. I’m glad that I can give back to PIP students because it helped me so much when I was in school,” says Amy. But not just anyone gets accepted into PIP. There is an application and interview process and only about 40-50 students from a pool of applicants from RISD’s four high schools are accepted each semester. Selected students are required to work at least 10 hours a week. Elizabeth Crusius, oversees the Professional Internship Program and works with students and businesses so that both parties benefit from the program. If your business is interested in offering internships through PIP, contact Elizabeth Crusius at elizabeth.crusius@risd.org or call 469-593-0746. How can your business support education in Richardson? Small businesses are making a difference by supporting education in Richardson. Dr. Douglas Crosby is on a mission to encourage fourth graders at Greenwood Hills Elementary to become strong readers and writers. Dr. Crosby supports an authors’ program and donates funding to have students' stories hard bound into a book. He then pays for a column in the Dallas Morning News to publish two student stories once a month. On May 30, Dr. Crosby and Richardson Mayor Laura Maczka congratulated the students at an authors celebration event. Dr. Crosby also treated the kids to ice cream. Dr. Crosby begins each school year by providing funds for students to have lanyard licenses. These licenses remind them of the rules of writing they must follow and use throughout the year to become accomplished authors. Dr. Crosby and his staff presented the licenses to the children at a ceremony last August. 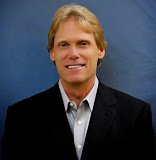 Dr. Crosby is a native Richardson resident who attended Mohawk Elementary, North Jr. High and Pearce High. He has practiced dentistry and orthodontics in Richardson and surrounding areas for more than 30 years and is a Richardson Chamber of Commerce member. This is just one example of how a local small business person is supporting education in Richardson. There are many more opportunities to be found. Please visit the Richardson Chamber of Commerce Workforce & Education Committee page at for upcoming events and opportunities to support our schools. It’s easy to say you want a good public education system. But why should you actually invest time and dollars into our public school system as a business owner, and how? It's a real estate truism that home prices rise along with the quality of neighborhood public schools. Great schools support real estate values. Quality public schools stabilize neighborhoods and communities and lead to increased housing prices. This holds true in urban areas and suburbia, and for homebuyers with or without children in their households. Another reason is the development of a well-trained workforce. Richardson’s business community and high-tech corridor have long relied on educated entrepreneurs and employees. With IT jobs on the rebound and biosciences projected as the cornerstone of the future, this becomes even more important. Need more incentives? Invest now, save public funds later. As education levels rise, the costs of social programs go down, which means less public spending on welfare, unemployment, health care and criminal justice. One study shows that every $4 spent on high-quality early childhood care and education saves $7 later in "remedial" social costs. Finally, good schools help bring new jobs to Richardson. The condition of local school systems is a major quality-of-life consideration for businesses and employees moving to Richardson. It makes good economic development sense. How can you get involved? 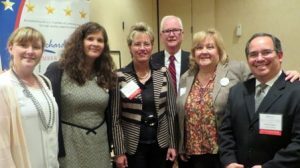 The Chamber’s Education & Workforce Committee has several options for you to get involved, whether you’re interested in committing time, talent or dollars. Committee involvement – Join the Education & Workforce Committee for its monthly meetings to have an inside track on becoming more involved in education in Richardson. You can bring your business or educational acumen to initiatives that impact Richardson’s students and emerging workforce. Meetings are the third Tuesday, from 8:30-9:30 am, at the Chamber offices. RISD FAFSA Super Saturday – Volunteer at this one-day event that helps high-school seniors with a crucial step towards college - completing their financial aid forms. Click here for more information on volunteering at Berkner HS. Click here for more information on volunteering at Richardson HS. Education web presence – The E&W Committee will be launching a web presence on the Chamber website this year, which will provide information on ways businesses can get involved with K-12 and postsecondary education in our community. Speaker forums – Be on the lookout for information about speaker forums that will increase your awareness of important education topics/issues in Richardson. New Teachers’ Luncheon – The E&W Committee will continue to host the annual RISD New Teachers’ Luncheon, an opportunity to welcome new educators to our community. There are some simple ways to get involved with the Richardson Independent School District (RISD). Enrichment clusters are one such way. Enrichment clusters provide a small group setting for real-world, hands-on experiences. Springridge Elementary was one of the first district schools to roll out this endeavor, and talks about their first cluster series.David Abadie of North Dallas Martial Arts presented a cluster on “The Way of the Samurai.” This is the second time Abadie has been involved at Springridge, and he’s on tap to help in other schools as the Cluster program grows. Farmers Insurance marketing director Karen Springs worked with 15 3rd – 6th graders on a cluster entitled “Making Money Your Way.” The students learned about entrepreneurship by writing the elements of a business plan, creating three separate company models and even shooting their own commercials as part of the final presentation. Bonnie Abadie provided Creative Memories consulting to a cluster group. Richardson Heights Elementary began its inaugural cluster series in May 2011. Other elementary schools will be planning enrichment cluster series as well. To get involved with a Cluster, please contact RISD Community Relations coordinator Amanda O'Neal, amanda.oneal@risd.org. To learn more about the RISD Partner program go to http://www.risd.org/group/community/PartnersProgram.html.